What Does It Take to Be a Commercial Pilot? A lot of people get confused when they hear about a commercial pilot. They think that a commercial pilot is an airline pilot. Totally, wrong!You can call airline pilots commercial pilots but calling commercial pilots airline pilots is not necessarily appropriate. Commercial pilots can be tour pilots, backcountry pilots or the cargo pilots. Furthermore, they could be known as glider tow pilots, flight instructors and ferry pilots. On the other hand, the airline pilots have to get the Airline Transport Certificate (ATP) and the commercial pilot certificate as well. If you are willing to become a commercial pilot, then you don’t need to be daunted by the airline pilot training. Commercial flight training is not normally done on a jet. It is done on the same aircraft that the trainers themselves have got their private pilot license in. It is a four-seater aircraft in which the training takes place. The students need to acquire 10 hours of flight-time in the superlative aircraft. Always read the eligibility criteria. It should not be missed by the applicants. The applicant must be 18 years old, able to speak well, read, write and understand the English language. The necessary thing a commercial pilot needs to have is a private pilot certificate. This is often the main reason why many people fail to become one. At least 250 hours are required for an individual to get the commercial pilot certificate. 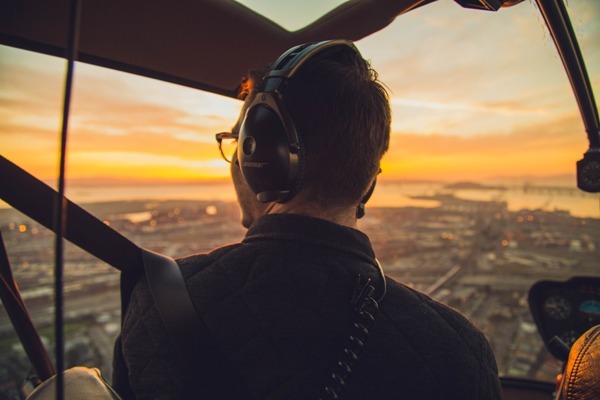 The private pilot license is necessary for the training but if have one already then chances are that you also might have the aviation medical certificate. If you have got a 3rd class certificate, then better get the 2nd class too, and make use of the privileges provided to the commercial pilots. It is necessary for you to take the FAA written exam. Just like any pilot training, you must pass the test of the commercial pilot training. Through this, you will gain extra knowledge which will help you in focusing on the flying more. Once you start flying, you will need the instrument rating so that you can fly with low visibility for getting the commercial pilot license. You will receive the instrument rating after passing the instrument ground school, the instrument rating check ride and the instrument flight hours. At least 10 hours are required to get the instrument rating and another 10 hours are required in the complex aircraft to get the certificate. Once you have become good friends with the plane and you have learned all the limitations and privileges of the certificate, then your trainer will set you off for the check-ride. After passing this, you will get your commercial pilot license. Always act like an uber-professional as the trainer is always watching you for what kind of commercial pilot you will become. Do not do anything sloppy, just maintain precision.